Asheville Bouncers: Win Tickets To See Nicolay With The Hot At Nights In Concert! Cincinnati Bouncers: Win Tickets To See Nicolay With The Hot At Nights In Concert! St. Louis Bouncers: Win Tickets To See Nicolay With The Hot At Nights In Concert! Kansas City, MO Bouncers: Win Tickets To See Nicolay With The Hot At Nights In Concert! Omaha Bouncers: Win Tickets To See Nicolay With The Hot At Nights In Concert! 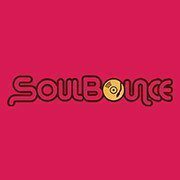 Des Moines Bouncers: Win Tickets To See Nicolay With The Hot At Nights In Concert! Minneapolis Bouncers: Win Tickets To See Nicolay With The Hot At Nights In Concert! Madison, WI Bouncers: Win Tickets To See Nicolay With The Hot At Nights In Concert! Chicago Bouncers: Win Tickets To See Nicolay With The Hot At Nights In Concert! Detroit Bouncers: Win Tickets To See Nicolay With The Hot At Nights In Concert! 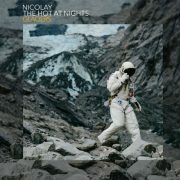 Toronto Bouncers: Win Tickets To See Nicolay With The Hot At Nights In Concert!